The two-way defenseman, who turned 19 on July 18, played the past two seasons in the top professional league in Finland. In 2017-18, he more than doubled his point, goal and assist totals from 2016-17, when he had 10 points, five goals and five assists. Heiskanen (6-foot, 170 pounds), who played for Finland at the 2018 PyeongChang Olympics and scored one goal in five games, likely will make his NHL debut this season on the second or third defense pair. "He is such an elite skater, has breakaway speed, and his shiftiness is pretty elusive," Stars player development coordinator Rich Peverley said. "I saw him play in [Liiga] and the Continental Cup in Sweden, and Miro and [Buffalo Sabres defenseman Rasmus] Dahlin were two of the best defensemen in that tournament, and that was a men's tournament. It shows the special talent that Miro has." 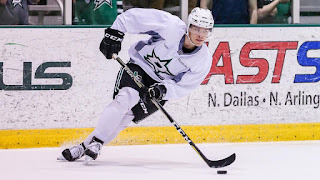 The 21-year-old finished second in goals for Texas in the American Hockey League as a rookie last season and had 12 points (four goals, eight assists) in 22 playoff games to help it reach the Calder Cup Finals. Hintz has a high hockey IQ and above-average speed for someone his size (6-3, 205). He can create chances for teammates and capitalize on scoring opportunities. 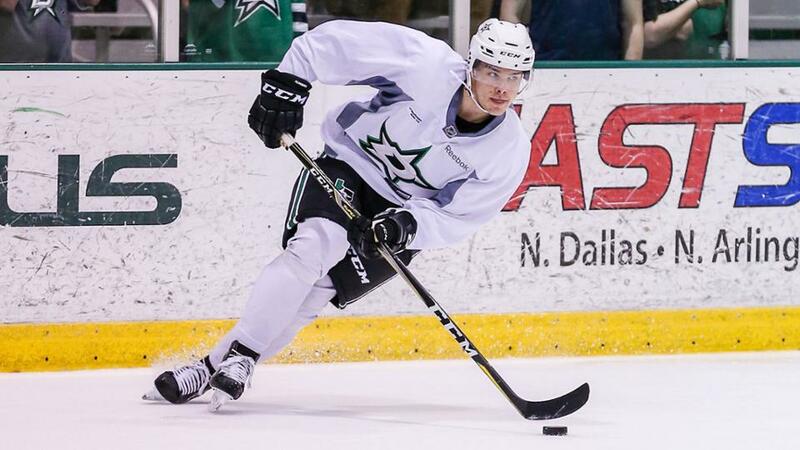 "Hintz is definitely a guy that took some major steps as the season went on and on," Peverley said. "He was outstanding in the playoffs, and he was a guy that I thought really transformed to the North American game pretty seamlessly." The 18-year-old center is expected to play in the Ontario Hockey League this season after leading Flint in goals and power-play goals (10) in 2017-18, when he won 50.6 percent of his face-offs. Dellandrea (6-0, 185) has speed and is known for scoring big goals in big games. "Hardworking, willing to do what it takes," Peverley said. "I got to meet him and watch him a bit. He's a great player, and you can obviously see the elevation in his game after Christmas this year. He just took another step. He looked like a man among boys. You can see that he is going to be a real, true good talent." Oettinger (6-4, 212) helped BU win the Hockey East tournament last season. He was named to the all-tournament team and voted tournament MVP after making 138 saves on 146 shots (.945 save percentage) in four games, including a shutout in the championship game against Providence. The 19-year-old got better as the season went on, going 7-1-1 with a 1.70 GAA and .945 save percentage in his final nine games. "For a guy going back to BU, I think he'll make the transition to pro very easily," Peverley said. "He's very level-headed, he is competitive, but he's a guy that I think is ready for the next step. If he continues on this path, he has an outstanding future in the NHL. ... He looks like the real deal." Gurianov progressed in two AHL seasons and has the offensive talent to play in the NHL, but he must improve defensively. The 21-year-old (6-3, 200) has played one NHL game (April 8, 2016) but could be a regular in the Stars lineup this season. Gurianov is a talented passer who makes the most of his chances; he scored 19 goals on 110 shots last season, a shooting percentage of 17.3. "I think Denis still has some areas to work on in his game, but you can still see the high-end talent with him," Peverley said.